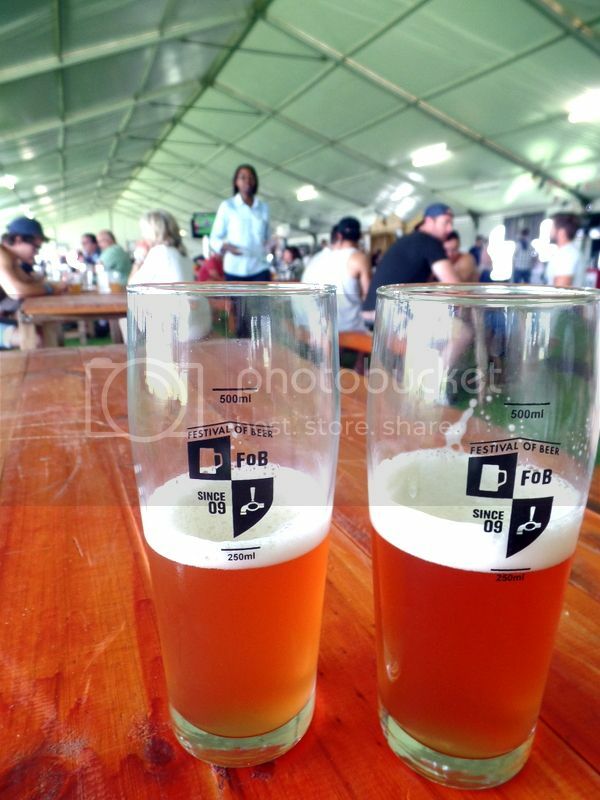 We were lucky enough to go to the Cape Town Festival of Beer on the most beautiful sunny day! This was the first truly large-scale beer festival that either of us had attended, and our excitement (particularly mine) levels were through the roof! We arrived bright and early, just as the festival gates had opened, so we could spend some time just meandering through the large tents and seeing what was on offer. 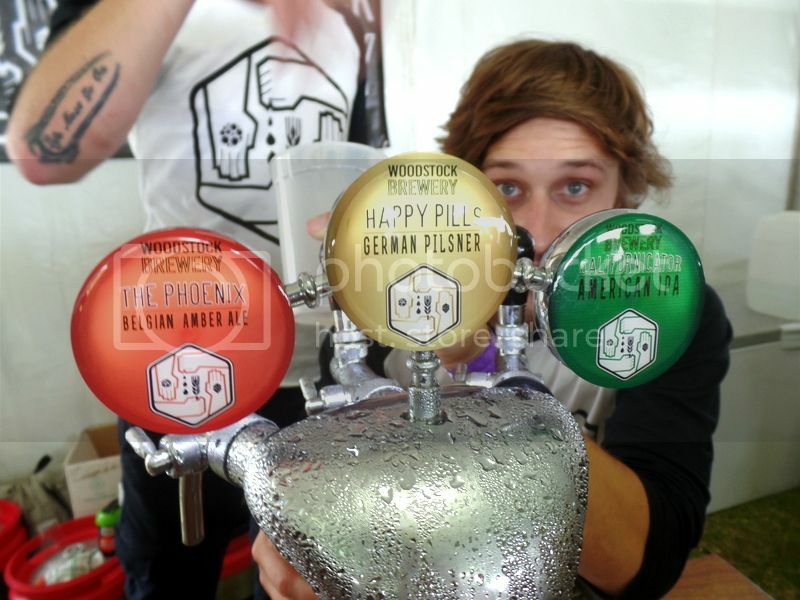 There was so much beer – over 200 individual beers from more than 60 different breweries! 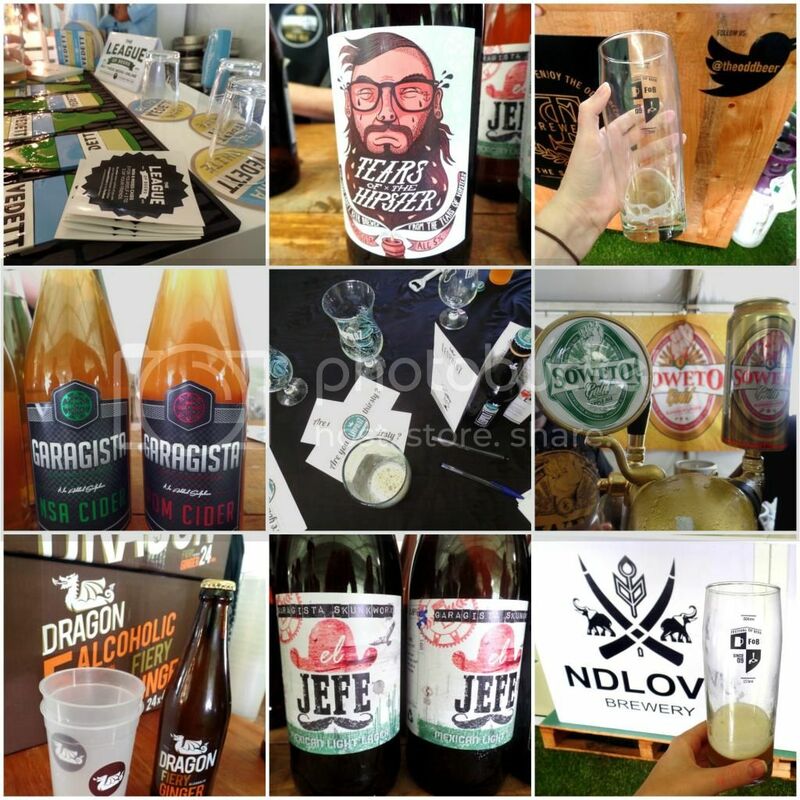 Brewers from all over had come to make an awesome showing of the South African beer scene. In addition to the beer, there was also great food on offer. El Burro was there with their food truck, and the Devil’s Peak Taproom had imported their Tuesday Burger and Beer special deal for the day as well. I am a massive fan of these burgers (and literally every Devil’s Peak Brewery beer that I have ever had the pleasure of trying), so that was our first port of call. After finishing a delicious First Light Golden Ale and my burger while Tahlia munched on some Tacos from El Burro, we met up with some friends and proceeded to taste our way through the selection. 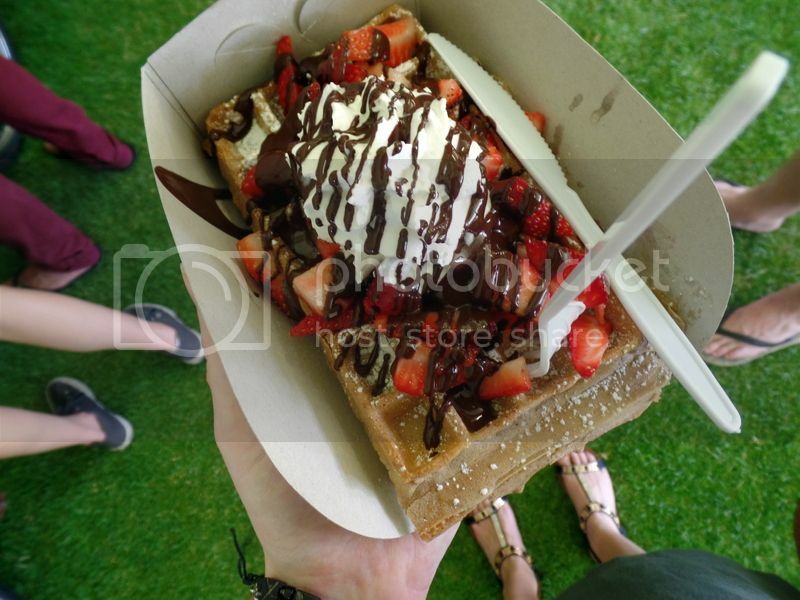 We also tried some delicious waffles with strawberries, Nutella and cream as well as some currywurst, both of which were fantastic! I have to point out that the venue was fantastic. The U-shaped tents that had been erected kept us cool all day, the live music was fantastic and the amenities all worked flawlessly. An additional bonus was the presence of a set of flat screen TVs every 20 meters or so, which allowed the whole crowd to collectively watch the Rugby later in the afternoon. That kind of foresight is both awesome from a planning perspective as well as for creating a fantastic atmosphere, even if you aren’t too keen on sports. On top of that, there was a great space for kids to play in, making it family friendly. Devil’s Peak Brewery’s Blockhouse IPA – This beer wins awards for a reason. Standeaven Brewery’s Watermelon Beer – delicious! Clean, refreshing and sweet! Ndlovu Brewery’s Lager – done in Chardonnay barrels. Great, tastes a (very) little bit like a lambic. Very enjoyable. Garagista’s Tears of the Hipster – 4 different hops, seriously odd but pleasant. Lakeside’s Black IPA – Delicious! Hard to choose between this and Devils Peak’s black IPA for a favourite. Black Lake (Lakeside and Jack Black) – a good, sturdy porter worth trying. Soweto Gold’s Cider – smells like green fizz pops, tastes like appletizer but better and it was Tahlia’s favourite drink of the day. Brewdog’s Hoppy Xmas IPA – absolutely delicious. Tied with Lakeside’s black IPA for my favourite find of the festival. Overall, it was a fantastic day. 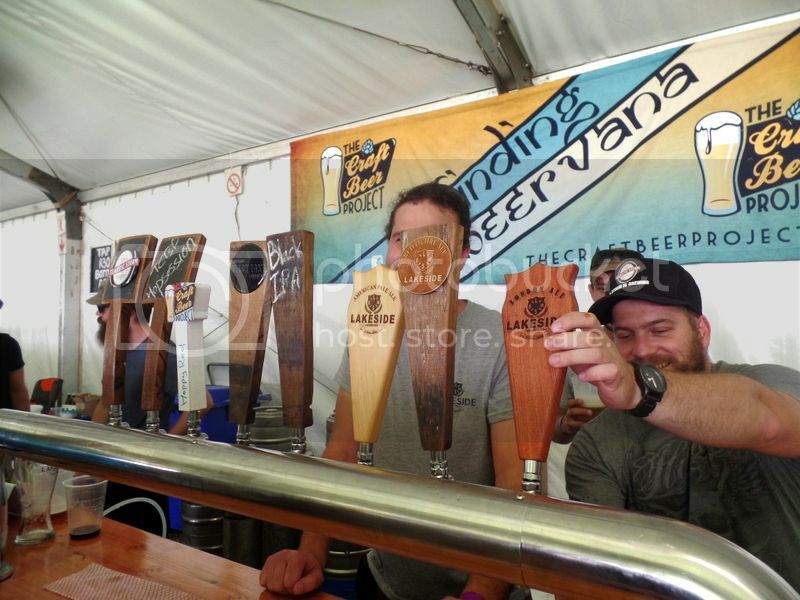 We thank the Cape Town Festival of Beer for Hosting us and for producing such a world class and thoroughly enjoyable event. We can’t wait for next time!